Kenneth J. Rosengren, OD, FAAO, is an assistant professor of ophthalmology in the section of Comprehensive Ophthalmology, Vision and Optical Services and Low Vision at Emory Eye Center. Rosengren's practice and clinical interests are varied. In vision rehabilitation, he uses the latest technology to help low vision patients use their remaining vision to the best of their abilities. In his general clinic, he provides primary eye care, ensuring the best possible contact lens or spectacle correction along with thorough ocular health evaluations. In glaucoma, he provides for prompt follow-up evaluation and close monitoring of each patient's status. Research endeavors include clinical trials of the implantable miniature telescope, contact lens solutions and lenses. Previous academic appointments include assistant professor, Illinois Eye Institute, Illinois College of Optometry, 1990-2000 and adjunct assistant professor, Midwestern University, Department of Ophthalmology, 1990-95. 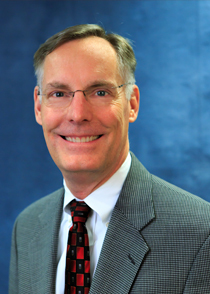 Dr. Rosengren is a Fellow of the American Academy of Optometry and a member of the Georgia and American Optometric Associations.